Historical accounts of the early life of Mollie Johnson, or why she turned to prostitution are not recorded. In fact, not much is known about Mollie at all, aside from newspaper accounts consolidated into an article written by Jerry L. Bryant in Deadwood Magazine, 2002. According to Bryant, his research was gleaned from some 40 articles in Deadwood newspapers. He also states that upon publication of the article, he re-researched and discovered that most reports were possibly only representative of bordello life in Deadwood in the 1880’s. Either way, Mollie proved a sensation for news of the day. Accounts record she started working in the trade in her mid-teens when she headed west from Alabama during the American gold rush. She settled in Deadwood, South Dakota, a town known for its ruthlessness, and highly populated with men out to seek their fortunes in gold. According to Bryant’s article, in 1880 the census revealed Mollie claimed to be twenty-seven years old, a widow, and that she lived with five young ladies from all over the United States—all of them blond, either naturally or by artificial means. 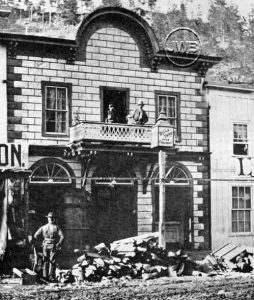 It is not known when she transitioned from mere prostitute to madam, but somewhere along the line, she secured a house in Deadwood on the corner of Sherman and Lee streets and started making money. Quite a lot of money. It was then she became known as “Queen of the Blondes,” and many a gentleman visited her place with regularity. Mollie’s first moment of notoriety came in 1878 when a story of her appeared in a local paper for marrying Lew Spencer, an African American actor/comedian who performed at the Bella Union Theater. The details of the affection the couple had for each other is uncertain. Mollie reportedly never gave up her profession. Later in the year, while in Denver, Lew Spencer was arrested for fatally shooting his “wife,” although Mollie was very much alive in Deadwood at the time. Lew did not hang for his crime, but pursued his vocal career and reportedly recorded the earliest known version of the song, A Hot Time in the Old Town, in 1896. The song later became the theme song for Teddy Roosevelt’s Rough Riders. It is not known if Mollie and Lew reunited after his stint in prison, but it seems the two became estranged. 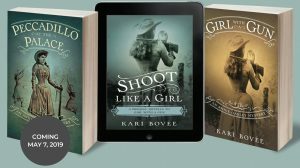 Mollie, her girls, and their notorious antics provided great fodder for the local papers, and a source of gossip for the townspeople of Deadwood and abroad. 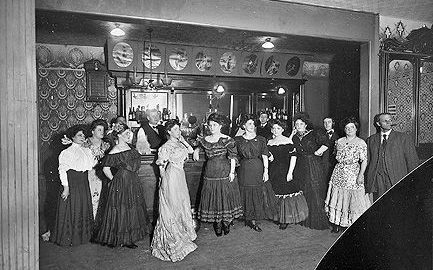 According to accounts, Mollie and her girls often hosted wild parties and balls in the Firehouse, or warehouses throughout town. She also, reportedly, often rented a pricey carriage and went about Deadwood heckling other “working girls” for not working for her. She also never failed to report abusive or ill-behaving customers to the local law enforcement. There are also reports of her motherly sternness, kindness, and compassion. Mollie often encouraged wayward girls to live a virtuous life and took them in as boarders. Two girls living in the town, Miss Pettijohn and Miss Woodall, had proven themselves to be out-of-control “hell-raisers.” Their mothers had gone to great lengths to change them but to no avail. While attending a ball thrown by either Mollie or the other reigning madam in town, Dora DuFran, the girls’ mothers’ requested that the sheriff arrest them and deposit them at Mollie’s place for rehabilitation. Mollie agreed to the task, much to the mothers’ relief. Under Mollie’s care, the two girls had to fly right or suffer the consequences. Stay tuned for Part Two of Mollie Johnson, Queen of the Blondes Part Two next week!